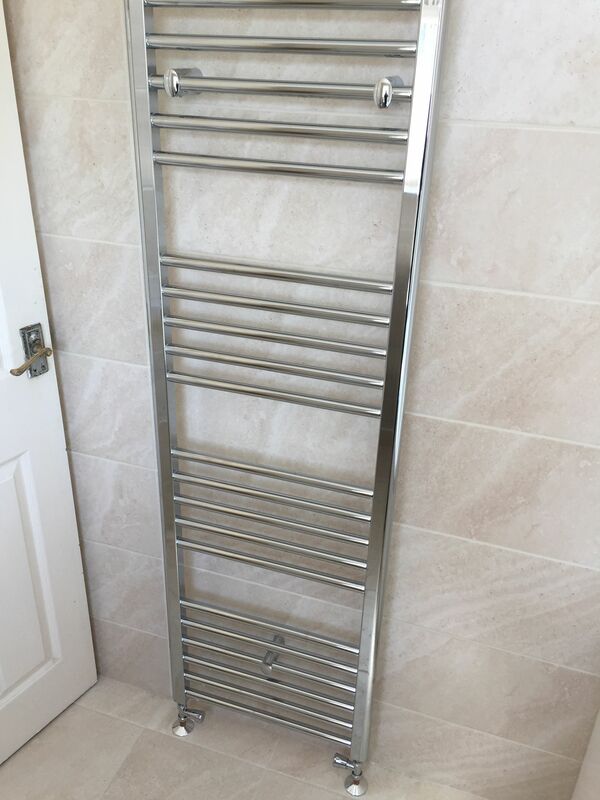 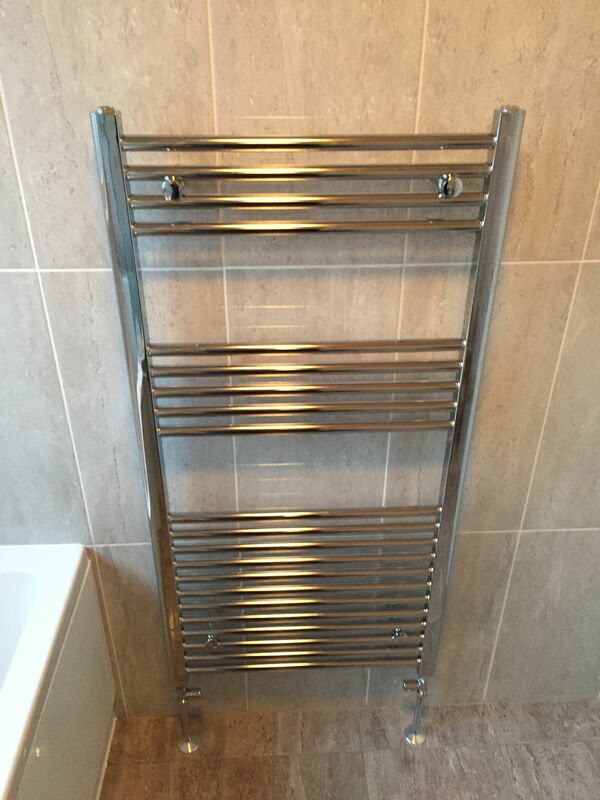 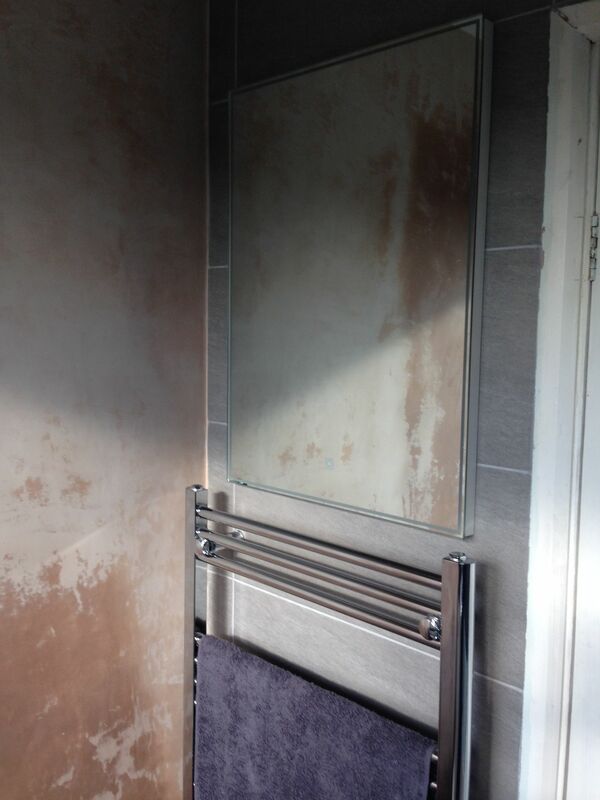 Eastbrook Chrome Towel Warmer, With Mirror Above, Grey Tiles. 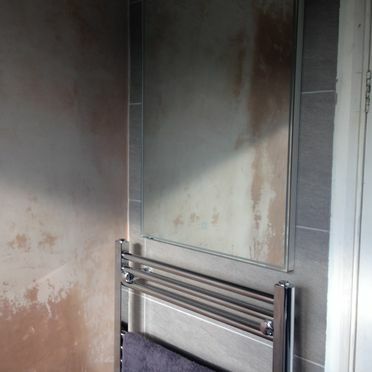 Other Wall Re-Skimmed. 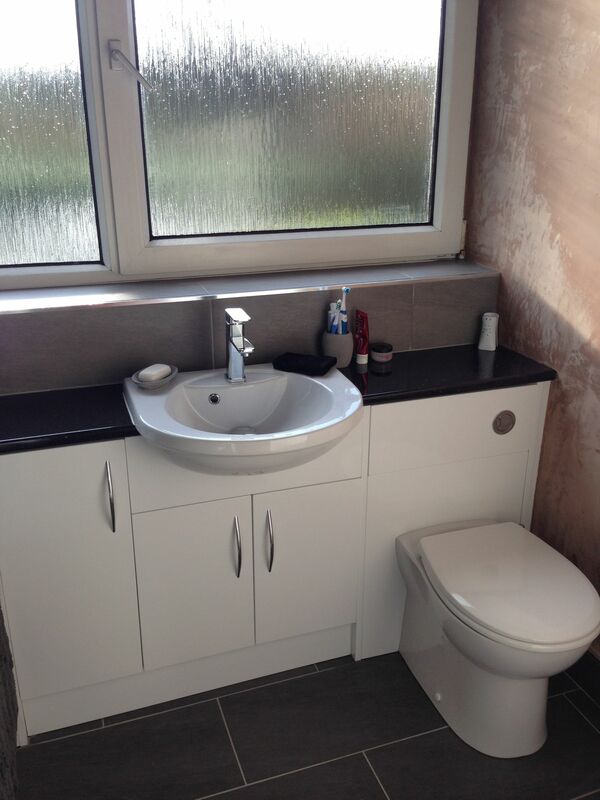 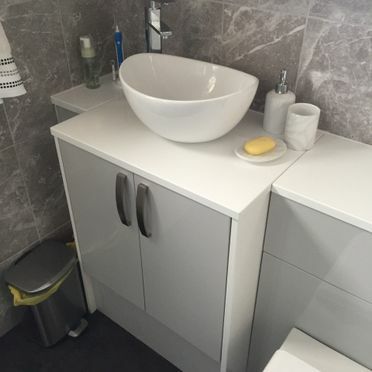 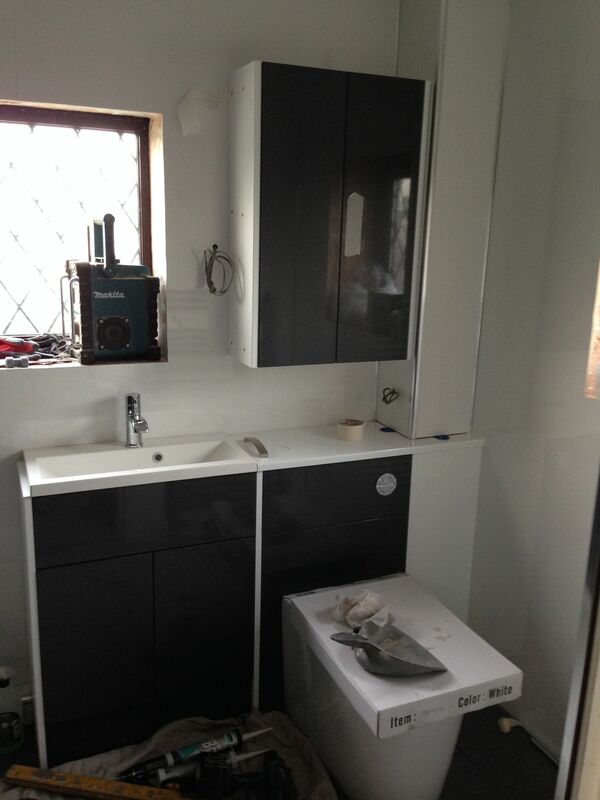 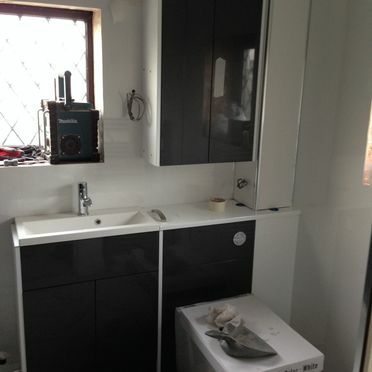 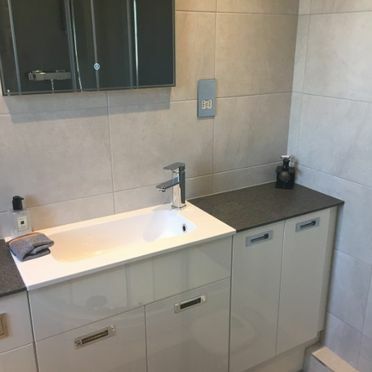 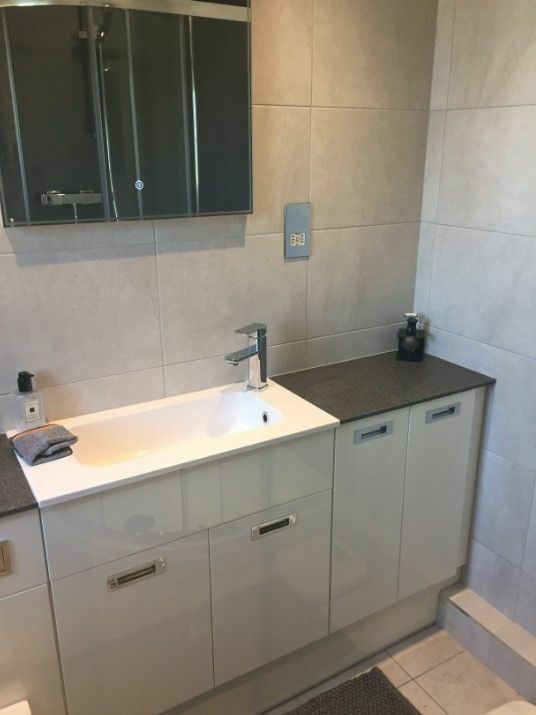 Woodstock HGW bathroom Furniture & Black Worktop. 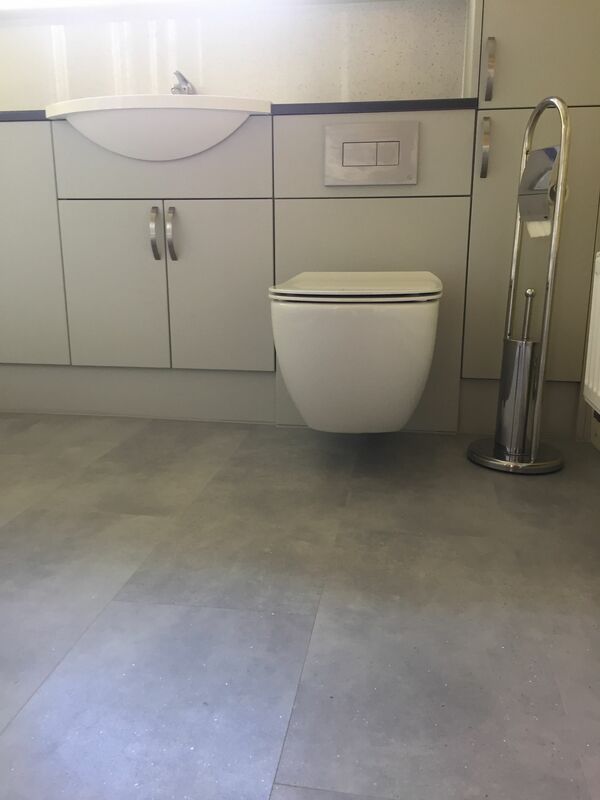 Woodstock Grey Gloss Slimline Furniture With A Cast Resin Basin & Chrome Mono Mixer. 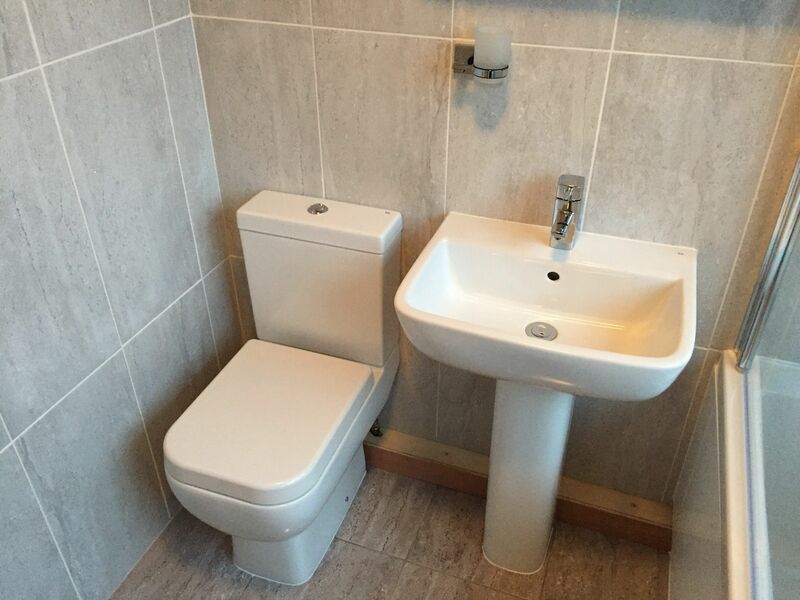 Round Basin & Mono Mixer. 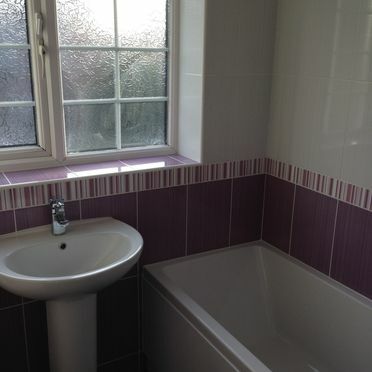 Pink & White Tiles. 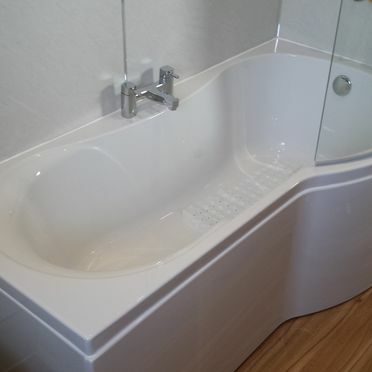 Quantum Bath 1700. 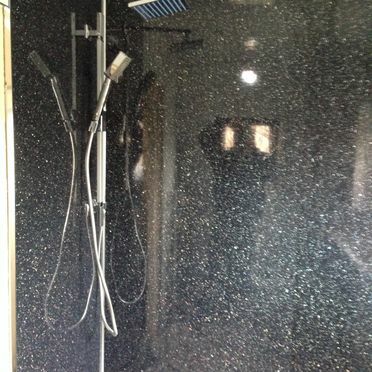 Black Sparkle 11mm Thick Waterproof Panel Consisting Of Bonded High Pressure Laminates & 9mm Hardwood Plywood. 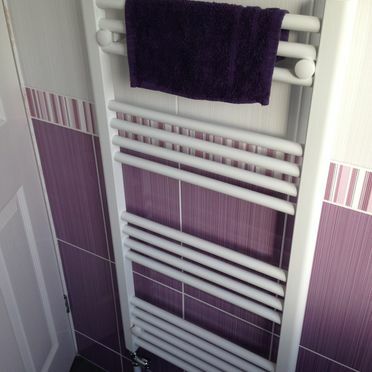 White Towel Warmer. 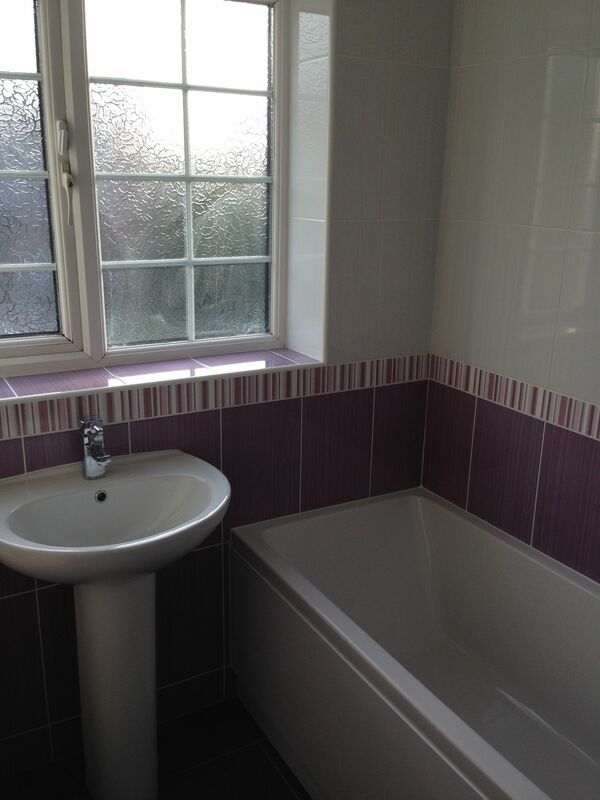 Pink & White Tiles. 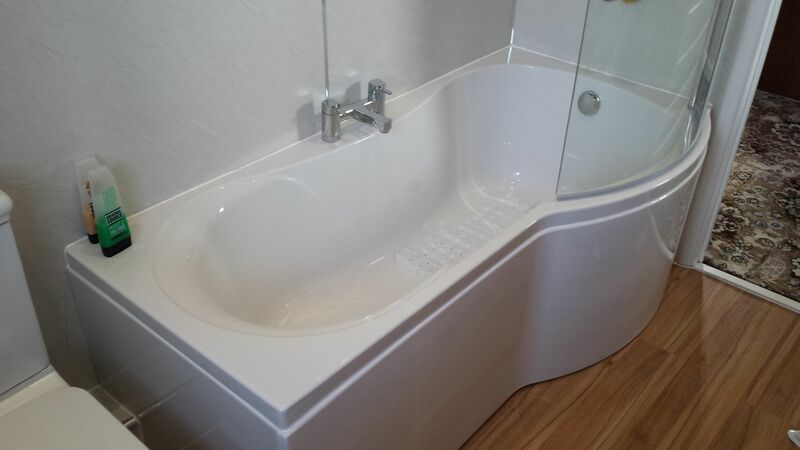 Qunatum 1700 Bath. 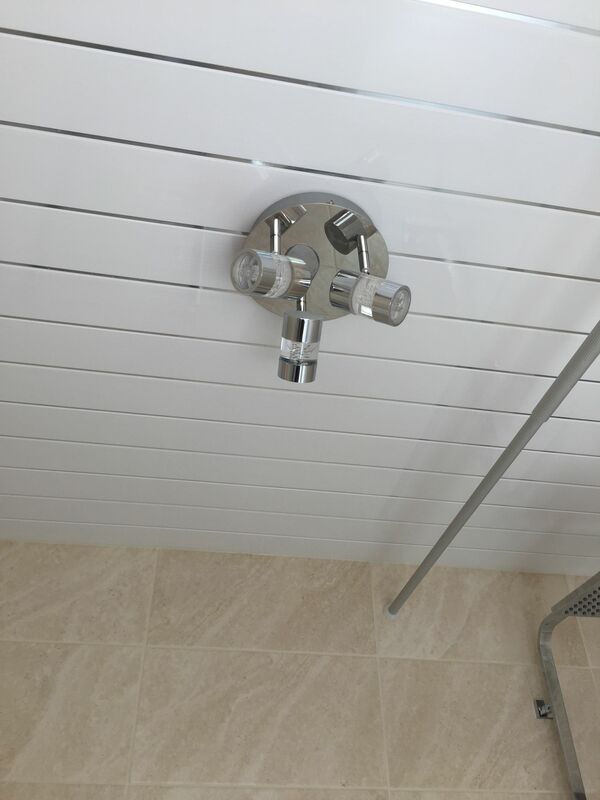 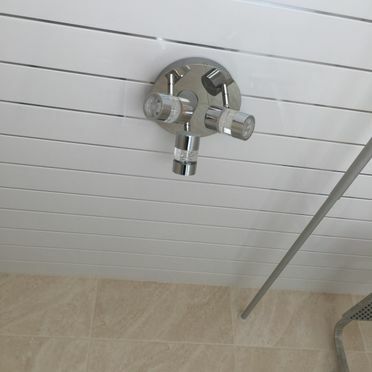 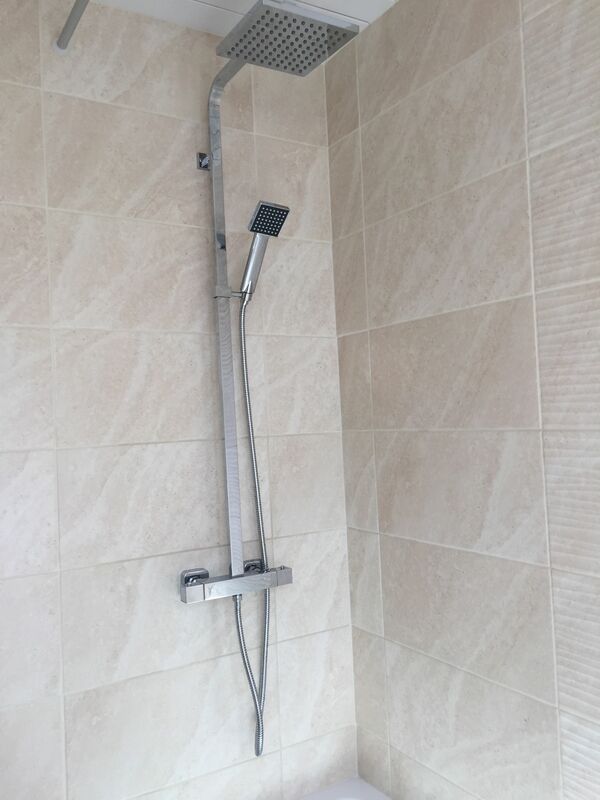 Thermostatic Bath Shower Mixer. 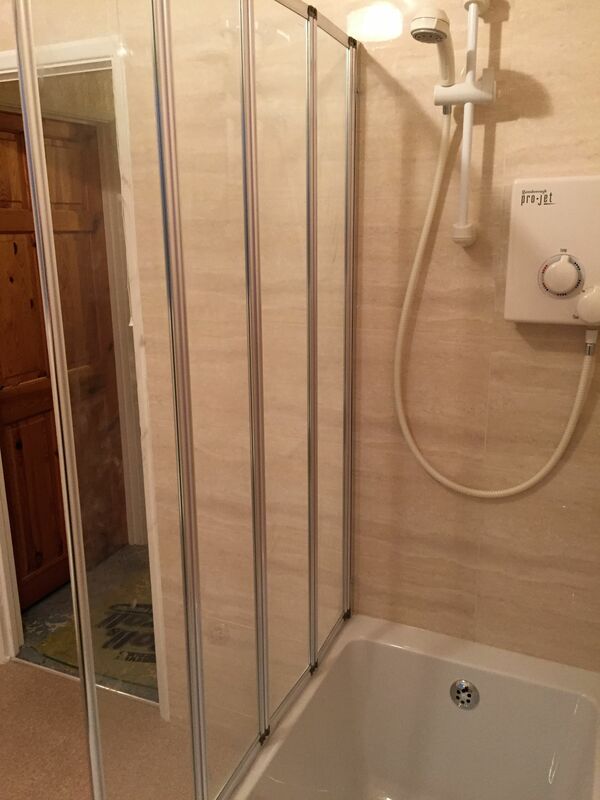 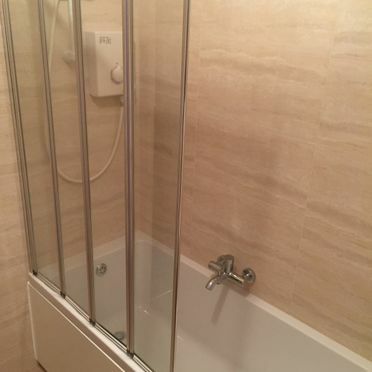 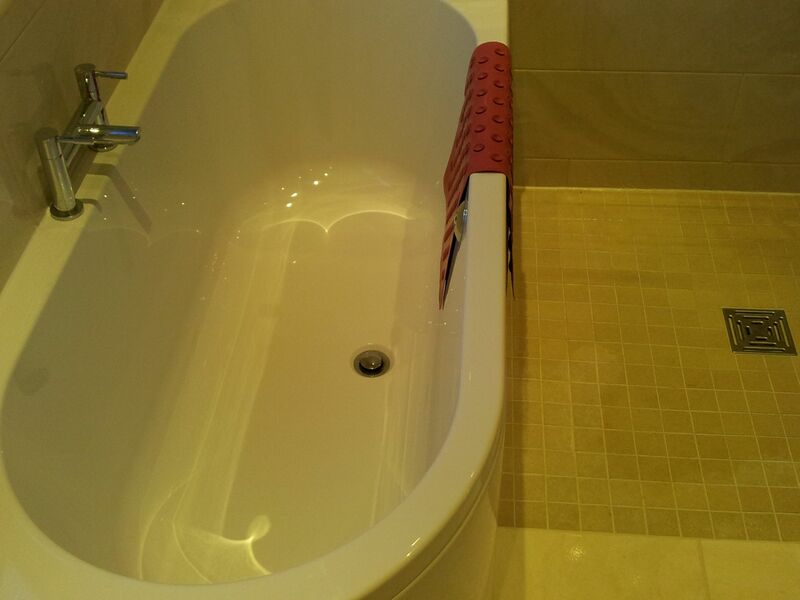 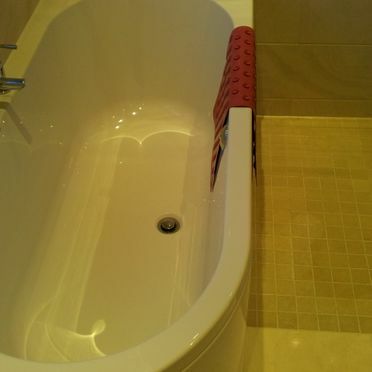 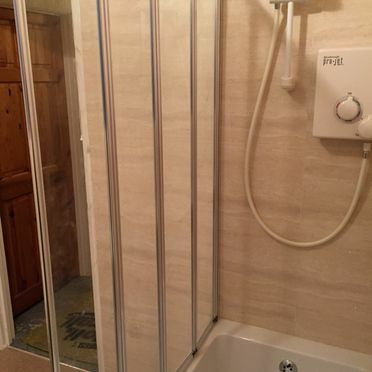 Four Fold Bath Screen. 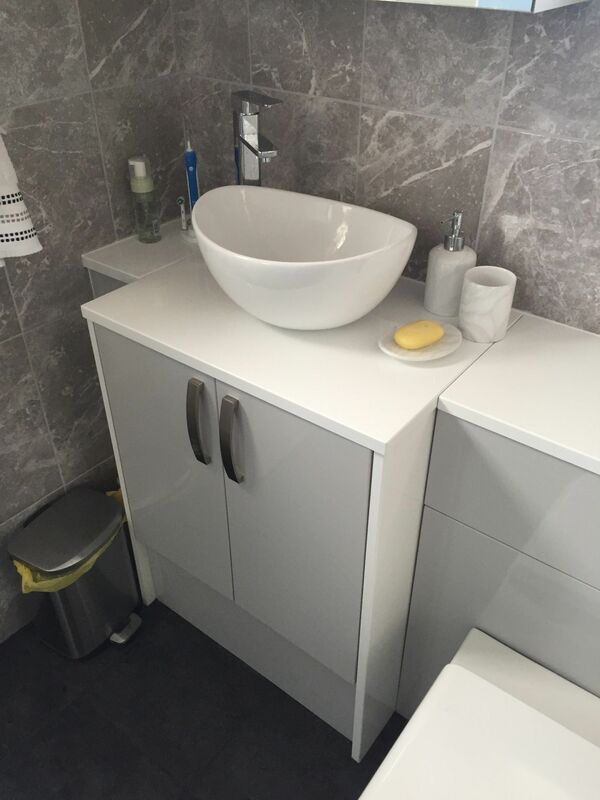 Woodstock Chiltern Range Of Furniture, Olinda Handles. 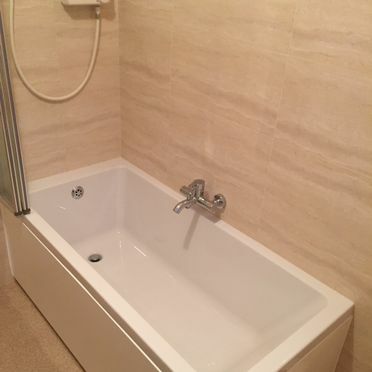 Beige Floor Tile. 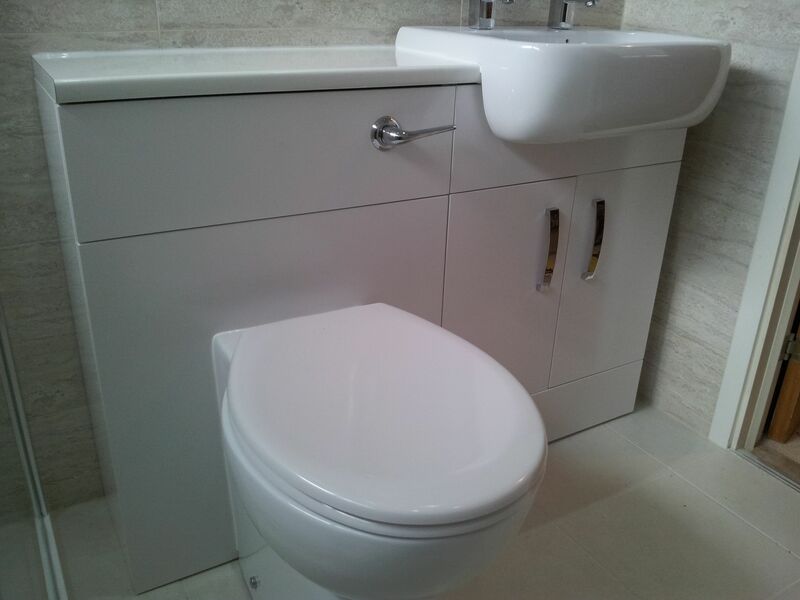 Wall Mounted HGW Vanity Units With Sit On Oval Basins. 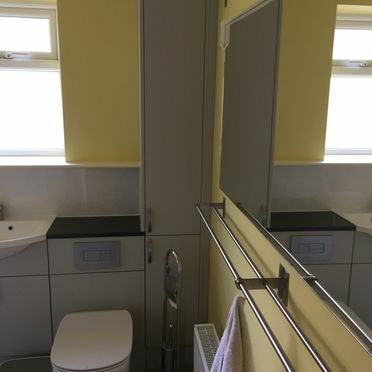 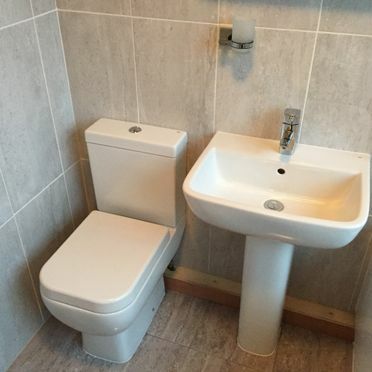 Two Wall Mounted Sink Mixers. 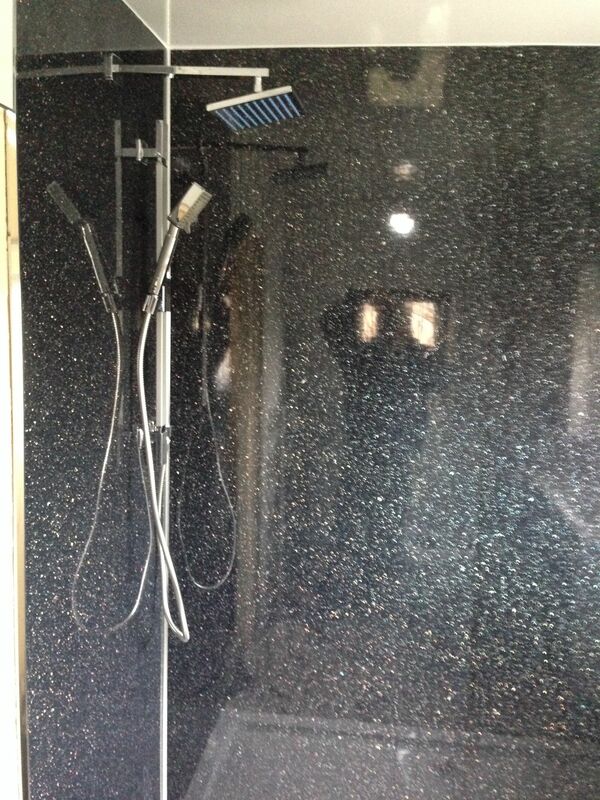 Wet Room Shower Enclosure. 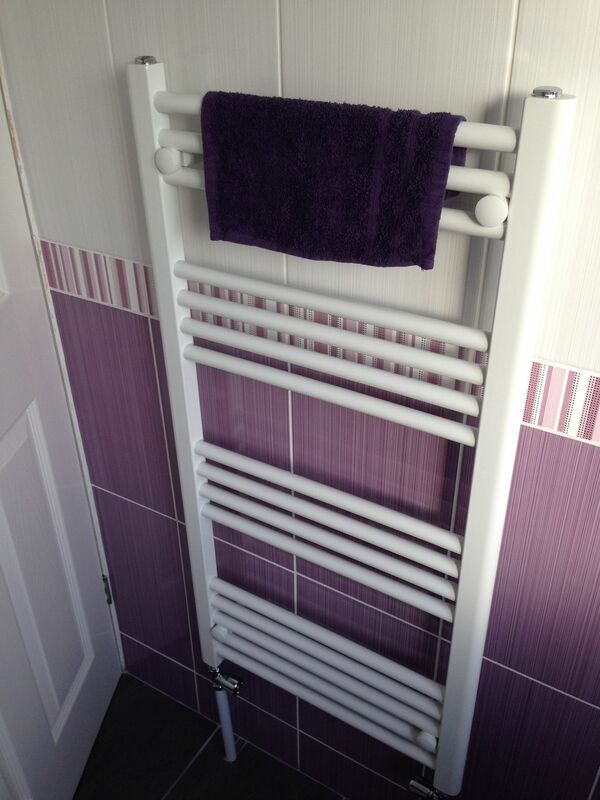 Eastbrook White Towel Warmer. 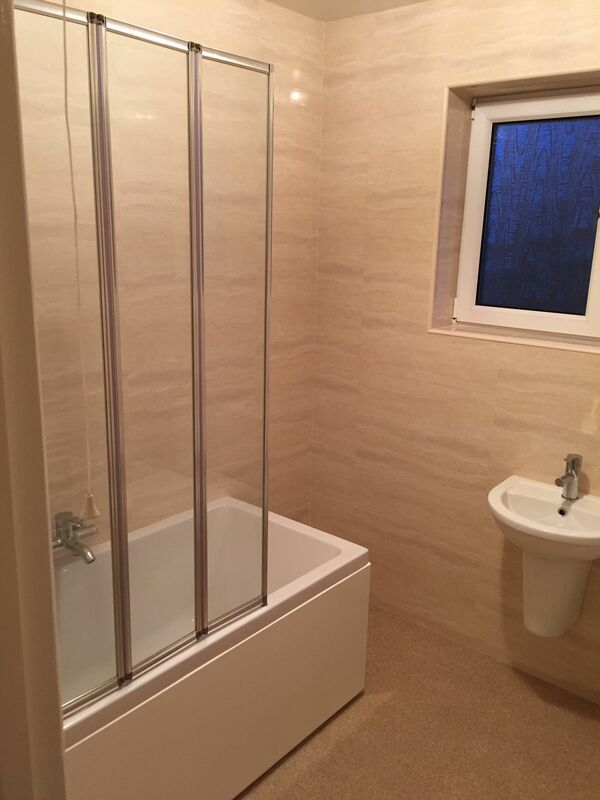 Beige Marble Effect Wall Tiles. 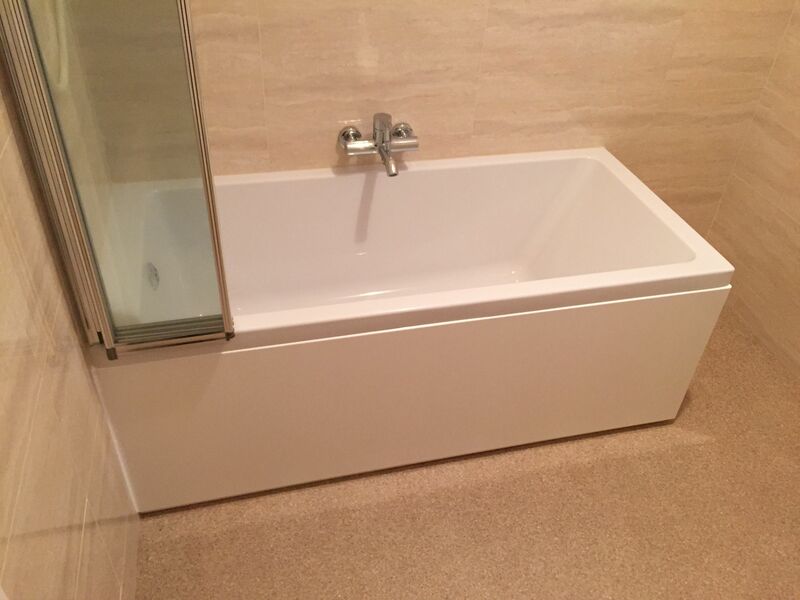 Quantum Bath and Fixed Bath Screen.RAK Series 600 Basin. 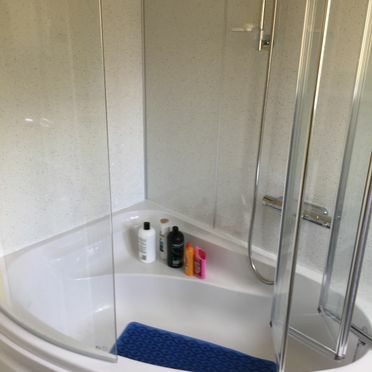 Four Fold Bath Screen, Quantum Bath. 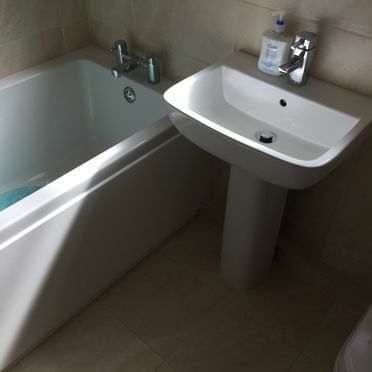 Dura Semi-Pedestal Basin. 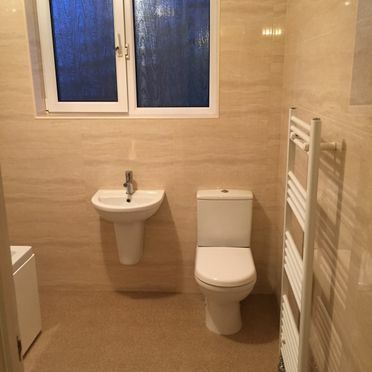 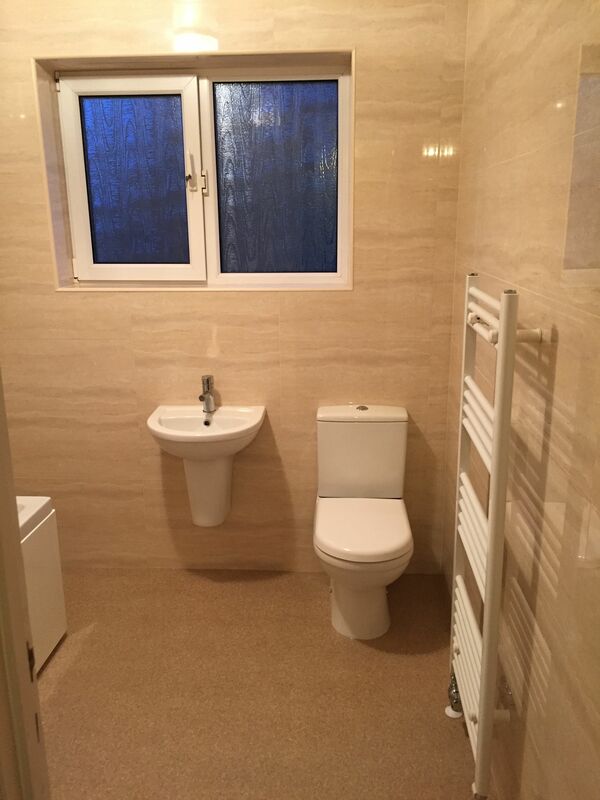 Beige Wall Tiles. 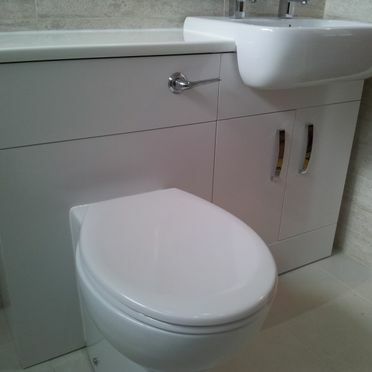 RAK Series 600 Close Coupled Toilet & Basin & Pedesta,Square Mono Basin Mixerl. 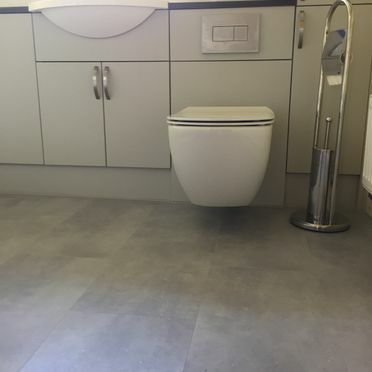 Grey Floor & Wall Tiles. 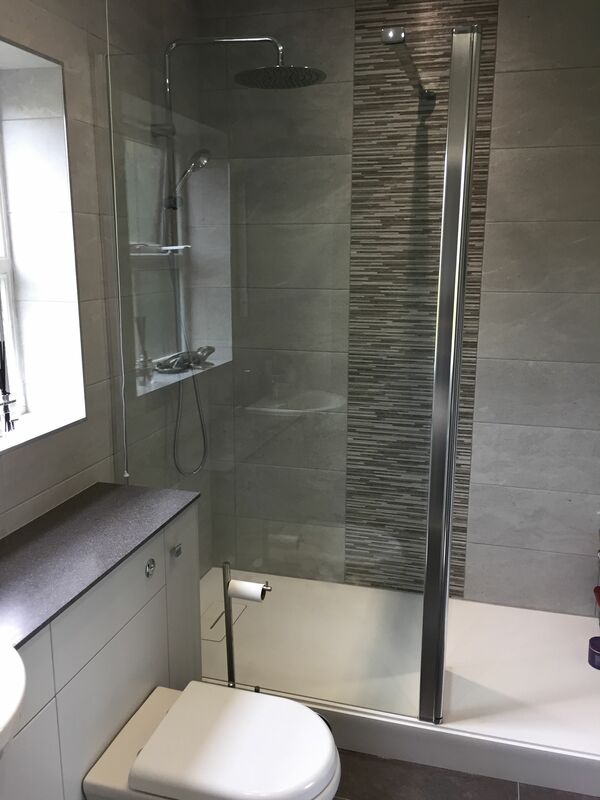 Quantum Bath, Bath Screen, Chrome Round Exposed Shower. 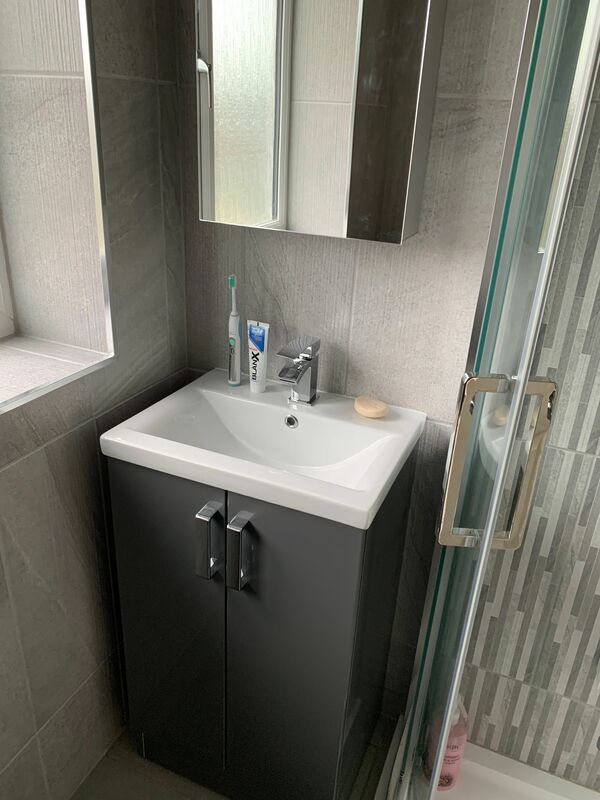 Woodstock Grey Gloss Furniture , Curvelo Handles, HGW Worktop. 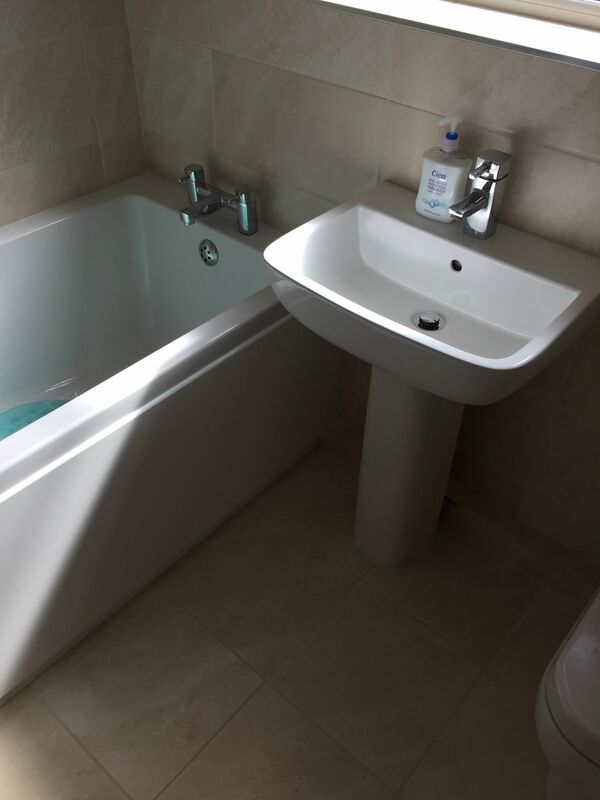 Fresh Halo BTW Pan & Semi - Recess Basin & Ebre Mono Basin Mixer. 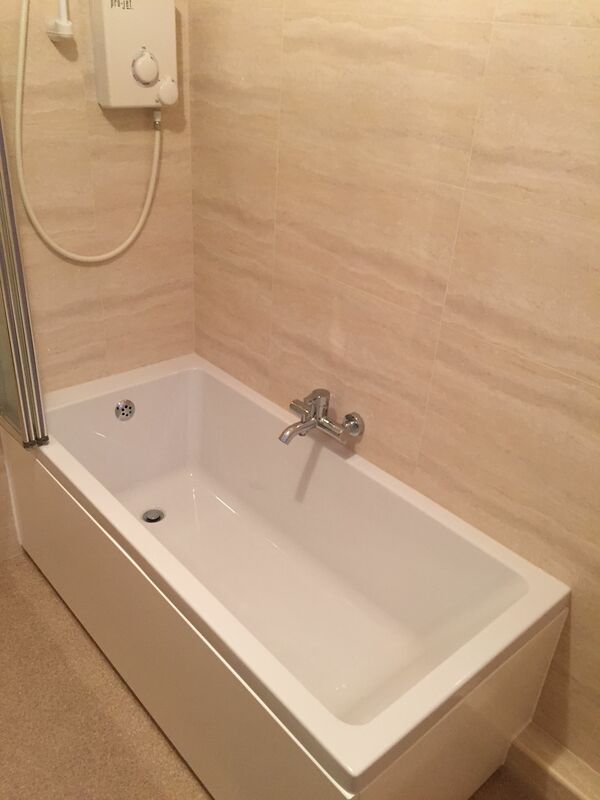 Woodstock Furniture, Beige Marble Effect Floor Tiles. 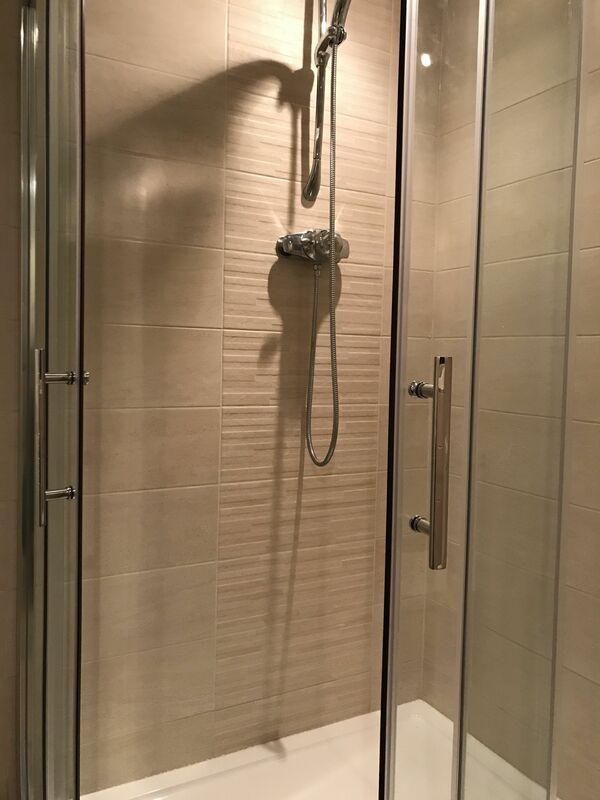 RAK Series 600 BTW Pan. 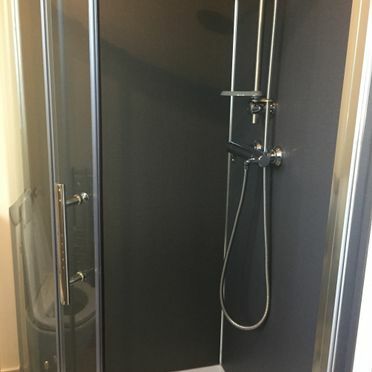 Chrome Quadrant Cubicle. 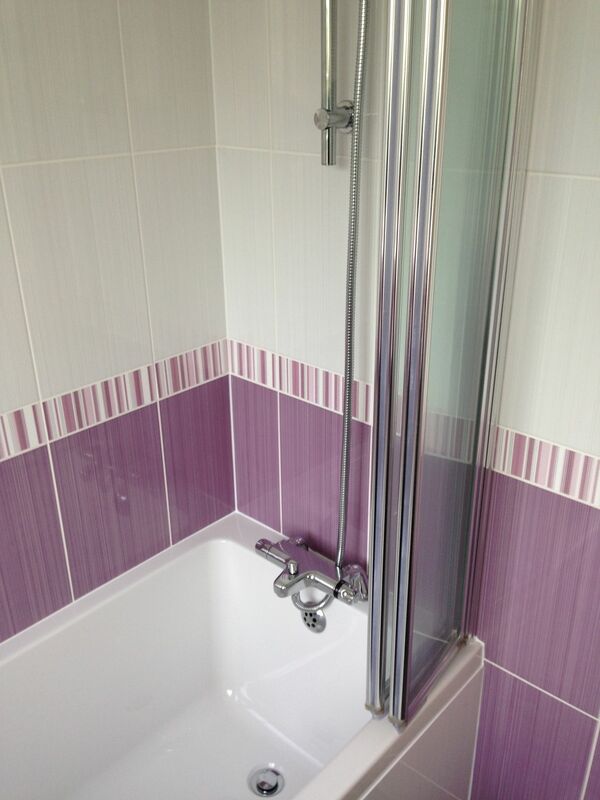 Quantum 1700 Bath , Prado 650 Bath Filler, Drench Shower, RAK Series 600 Close Coupled Toilet. 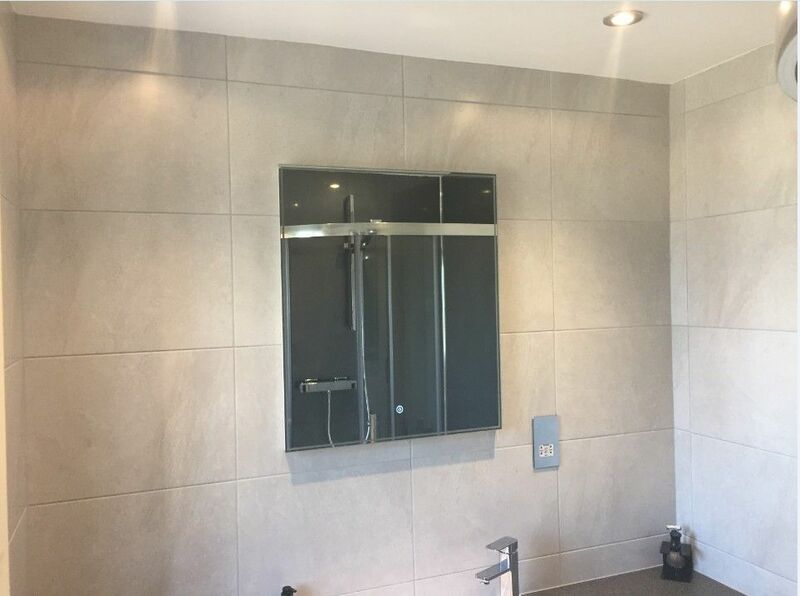 Grey Gloss 11mm Thick Waterproof Panel Consisting Of Bonded High Pressure Laminates & 9mm Hardwood Plywood. 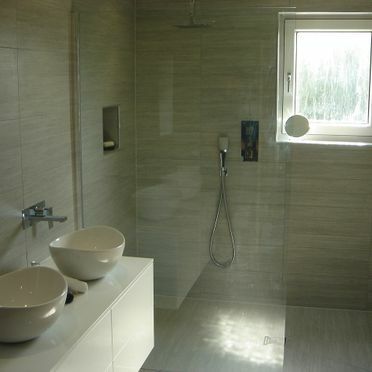 Wet Room Complete With A Built In Recess For Shampoo's And Soap. 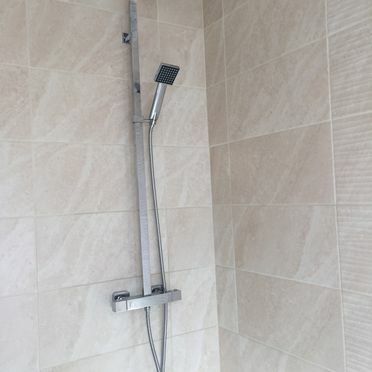 Chrome Drench Shower. 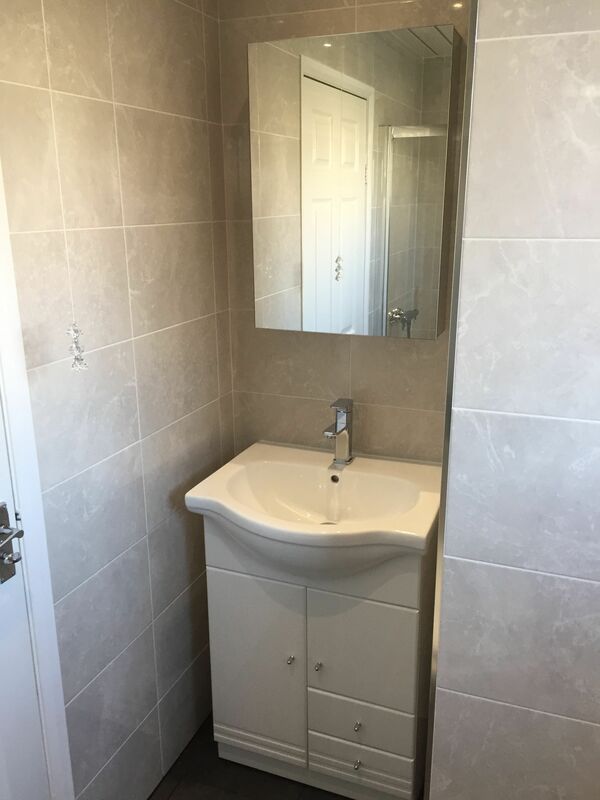 HGW Free Standing Vanity Unit, With A Mirrored Cabinet Above. 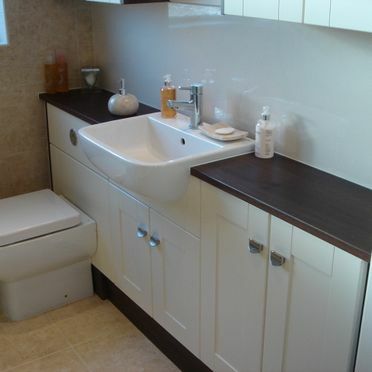 Aqua Oak Furniture : Basin Unit With A Mirror & Cabinet Above. 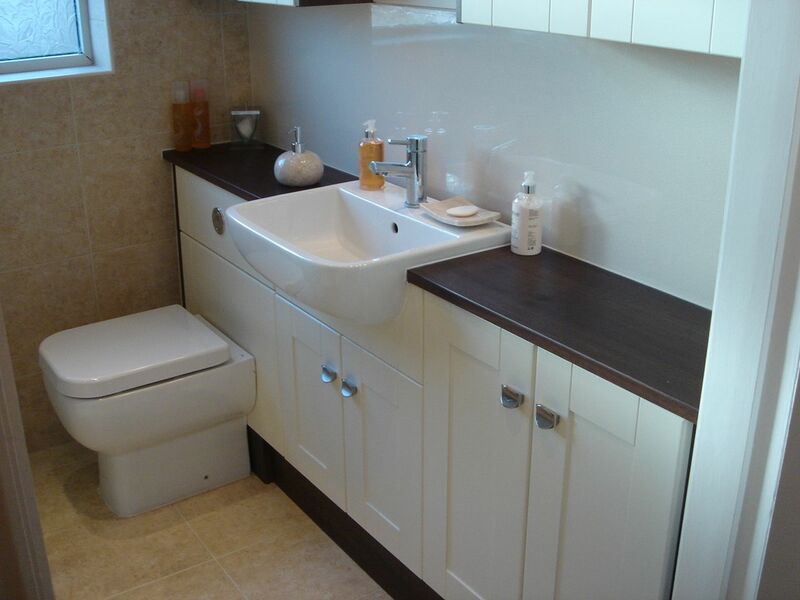 Aqua Oak Cabinet & Basin & WC Unit. 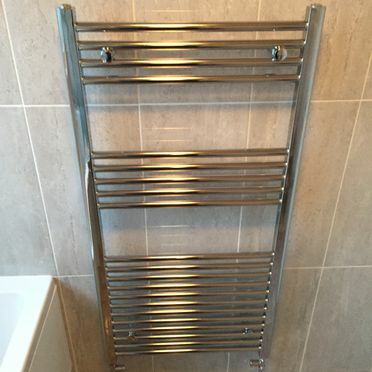 Chrome Towel Warmer. 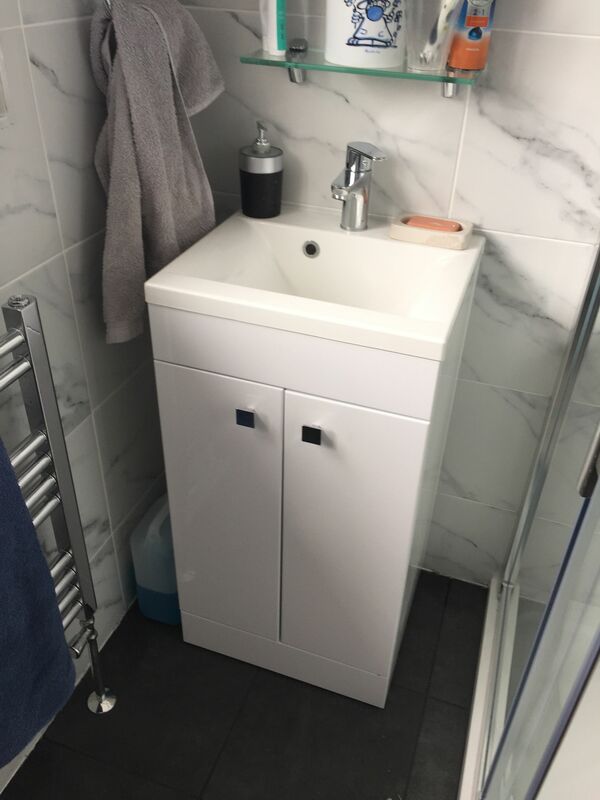 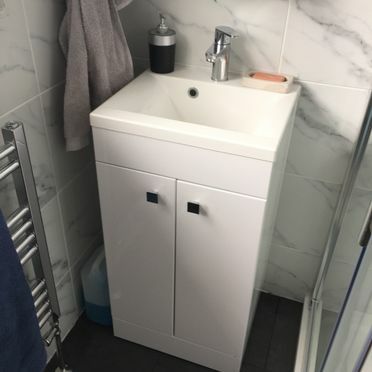 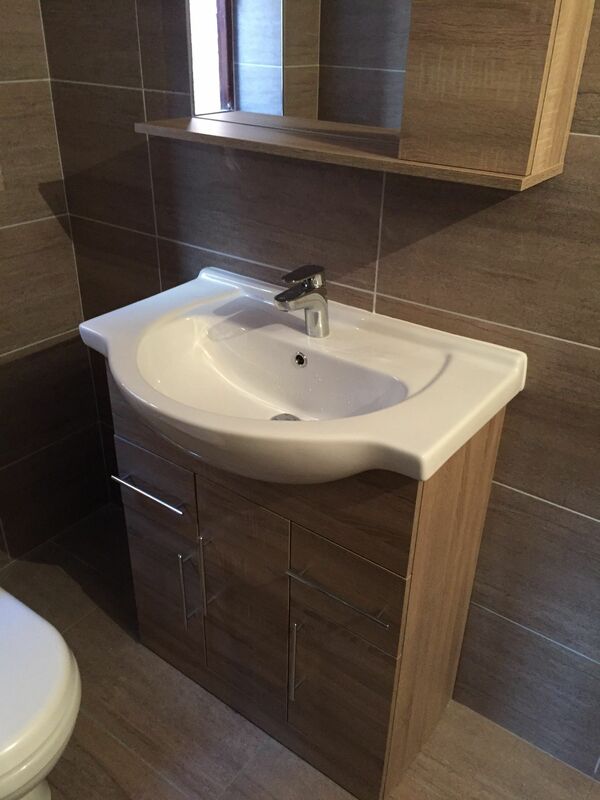 HGW Image Furniture, Prado 650 Mono Mixer, Plano 700 Basin. 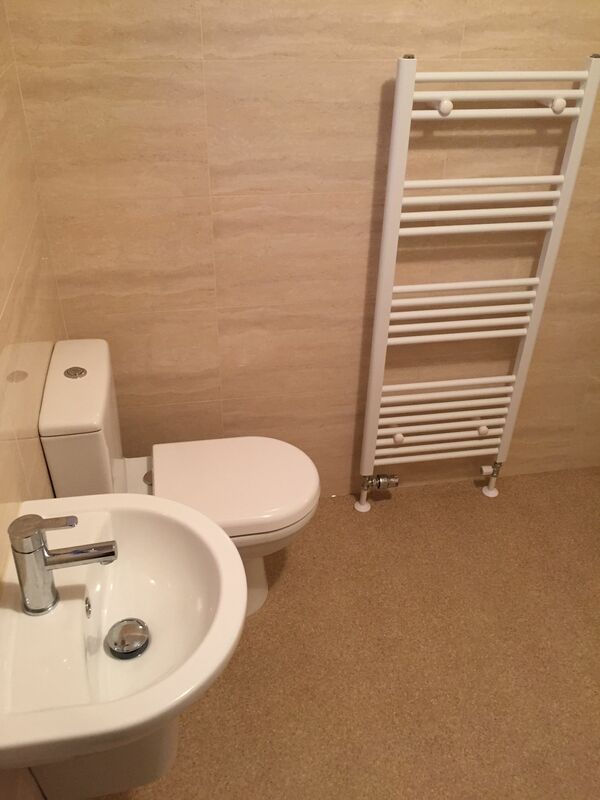 Woodstock Furniture, 1700 Wet Tray, With Grey Tiles & A Feature Band. 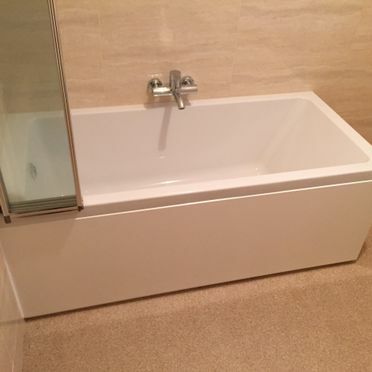 Woodstock Furniture. 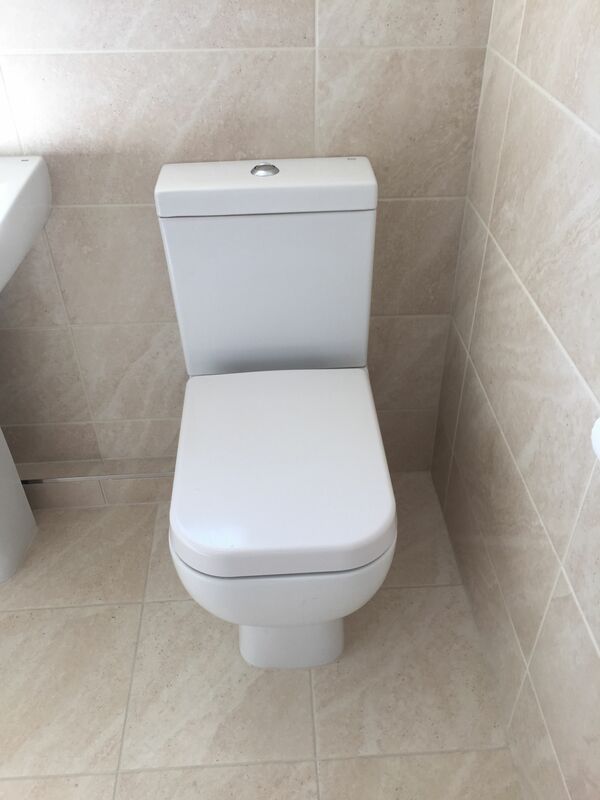 With An Ideal Standard Karisma Flush Plate Satin. 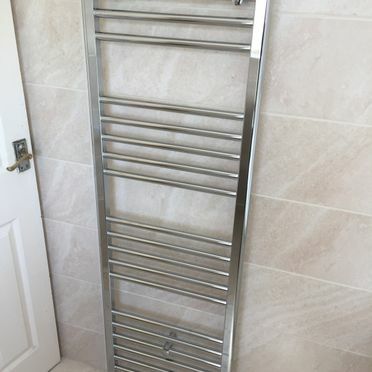 500 x 1600 Chrome Towel Warmer. 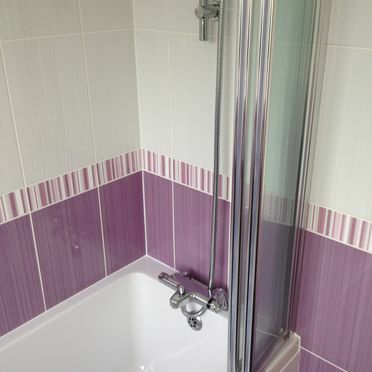 Arianne Almond Wall Tiles. 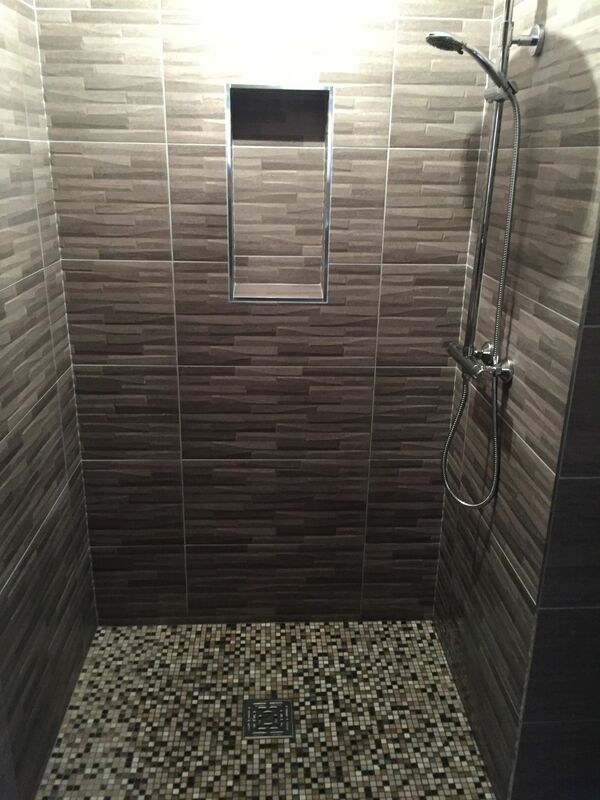 Wet Room With Garland Pearl Mosiacs And Garland Pearl Anti-Slip Floor Tiles. 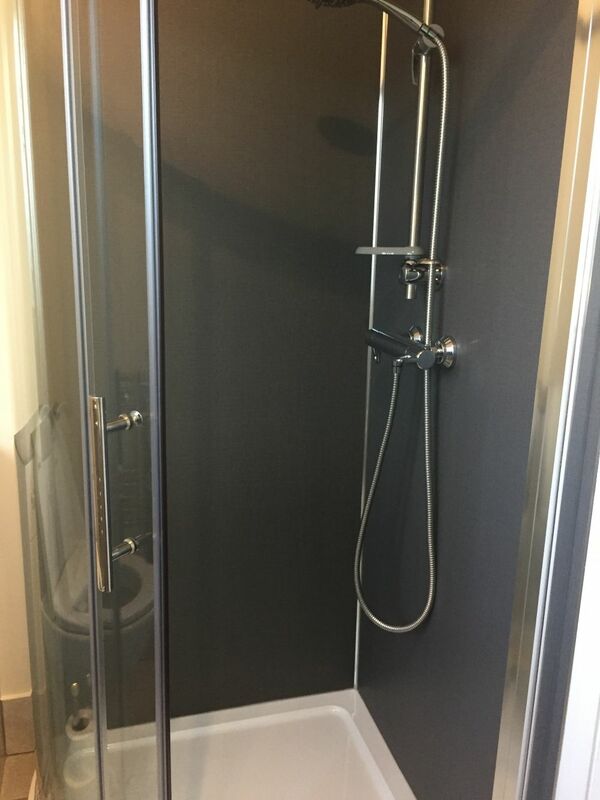 Padded Seat & Valliant Round Pole Walk In Glass. 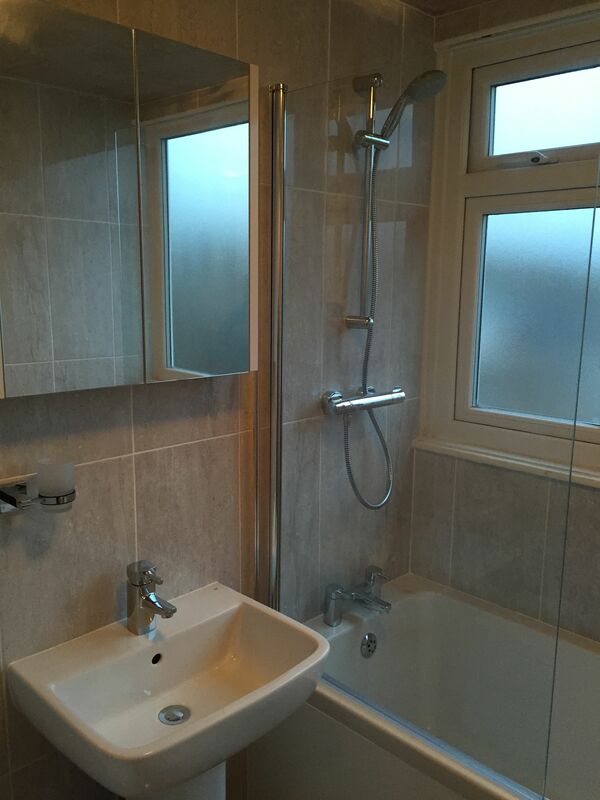 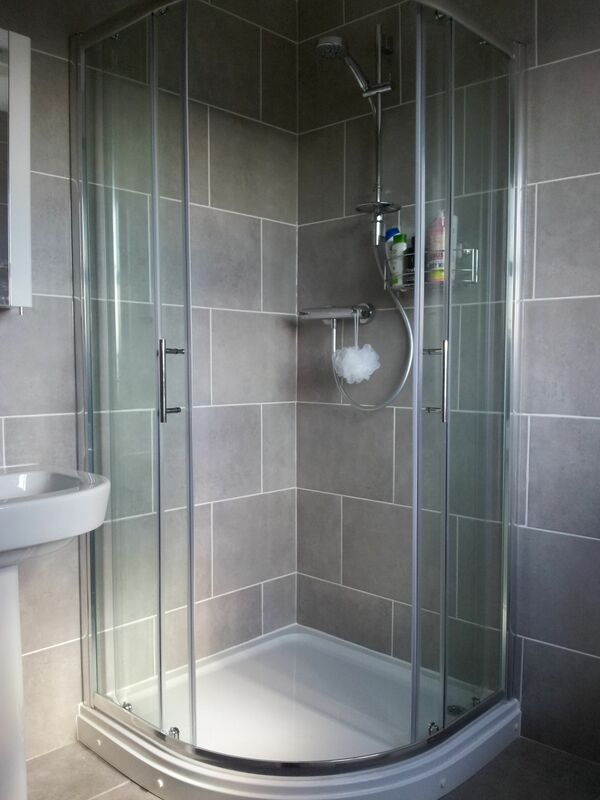 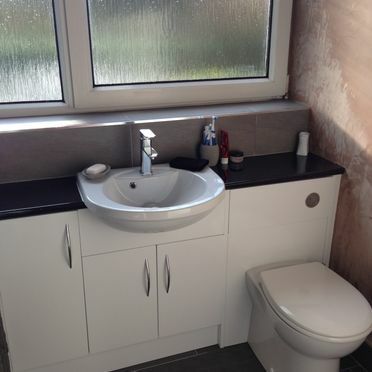 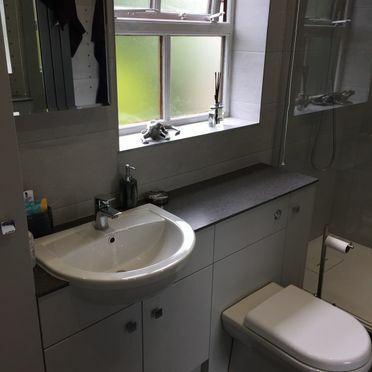 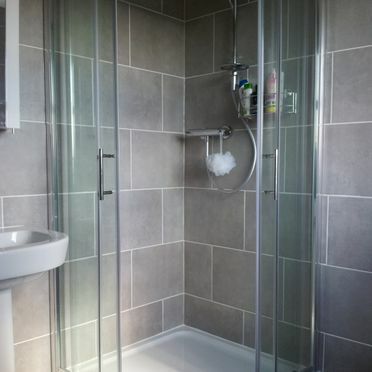 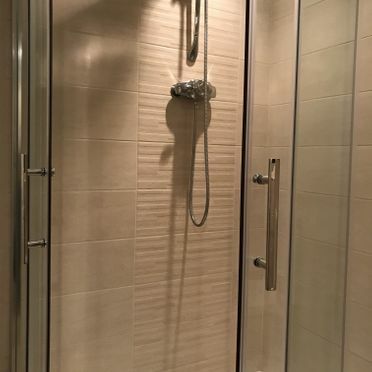 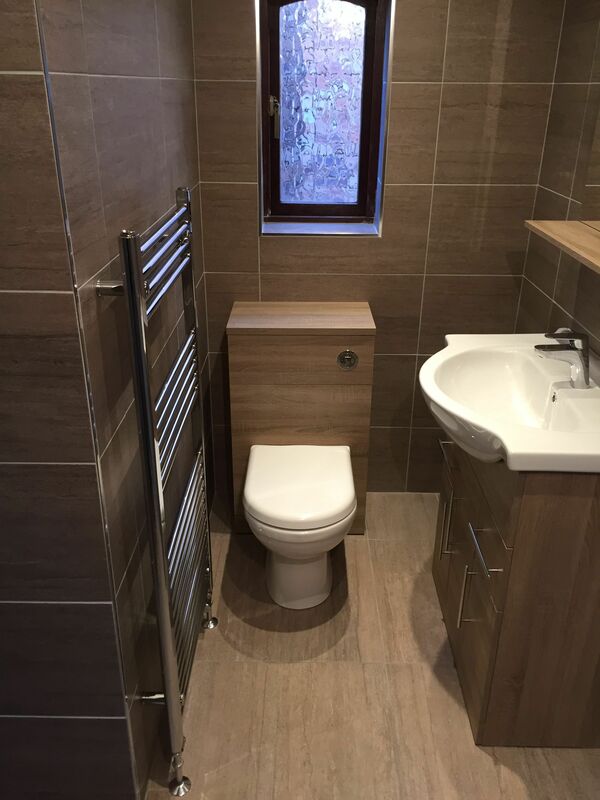 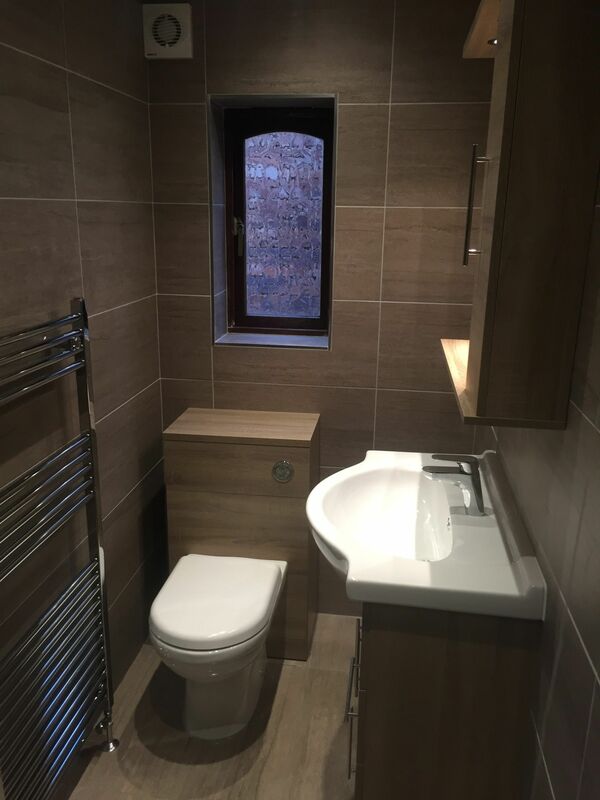 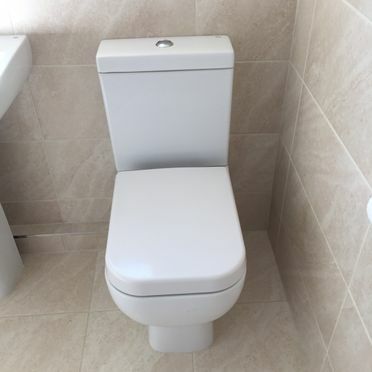 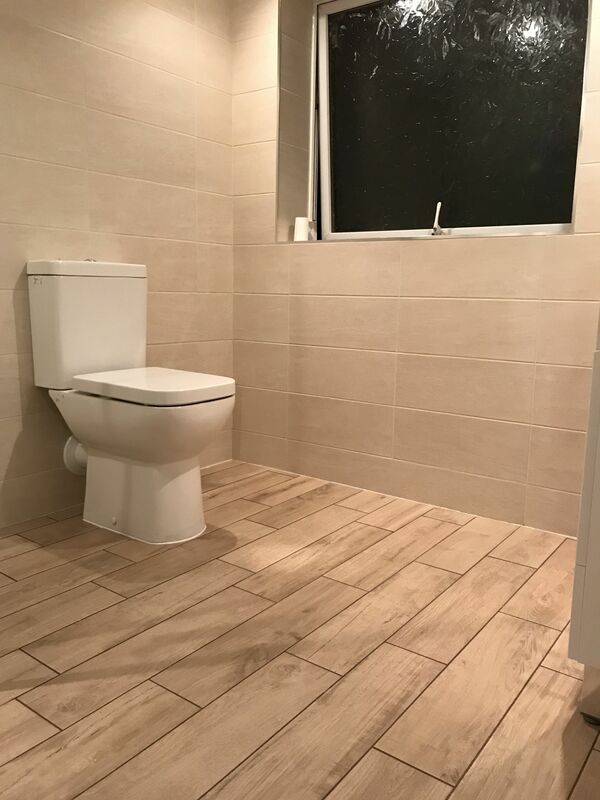 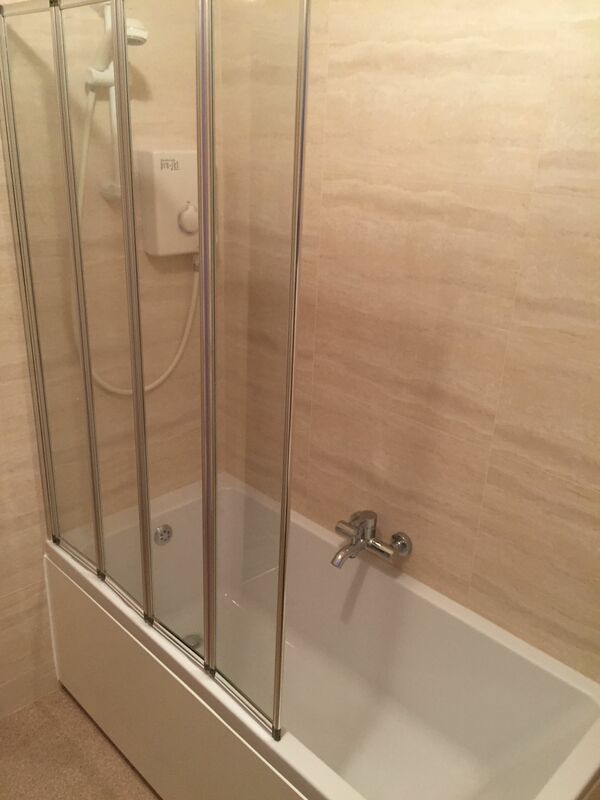 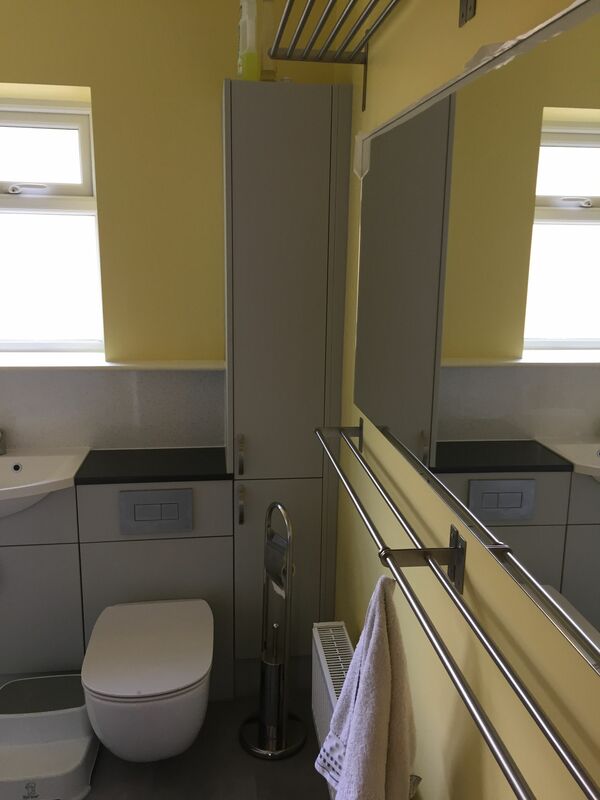 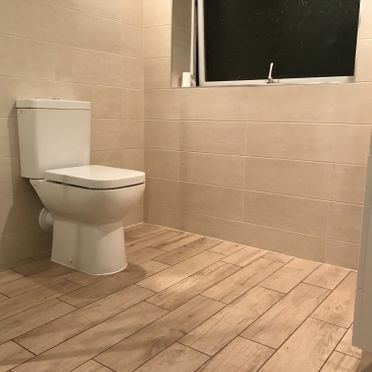 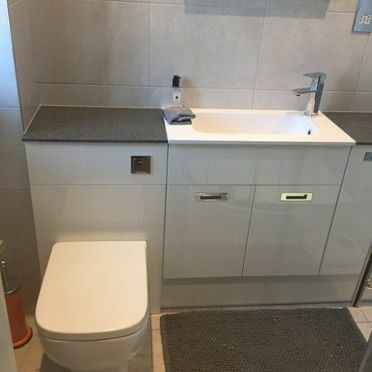 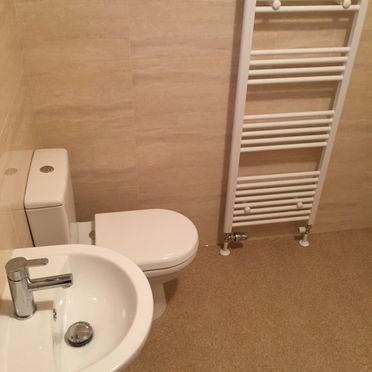 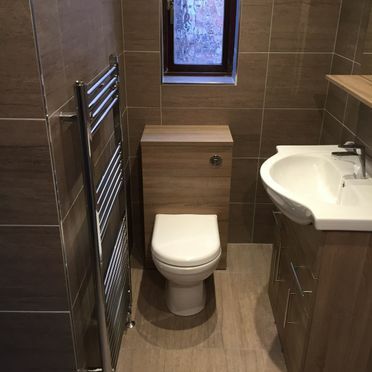 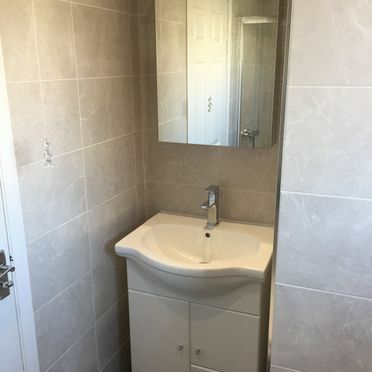 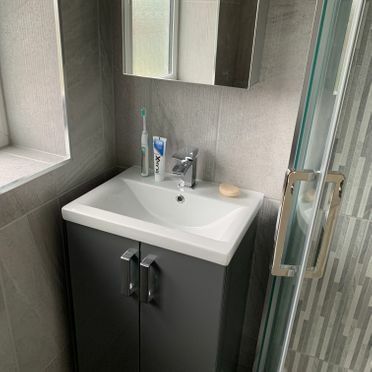 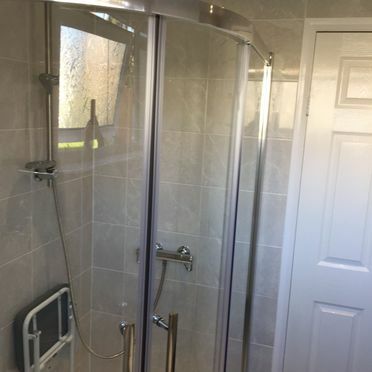 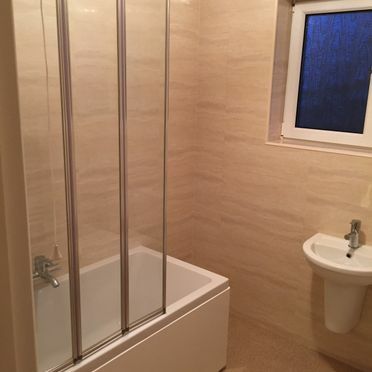 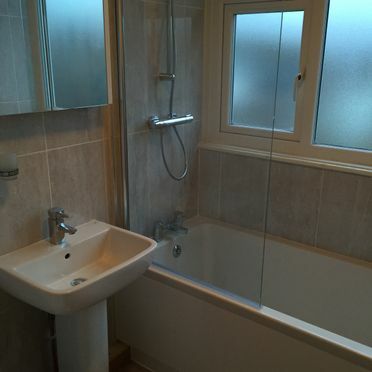 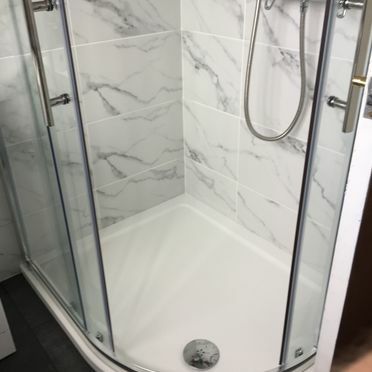 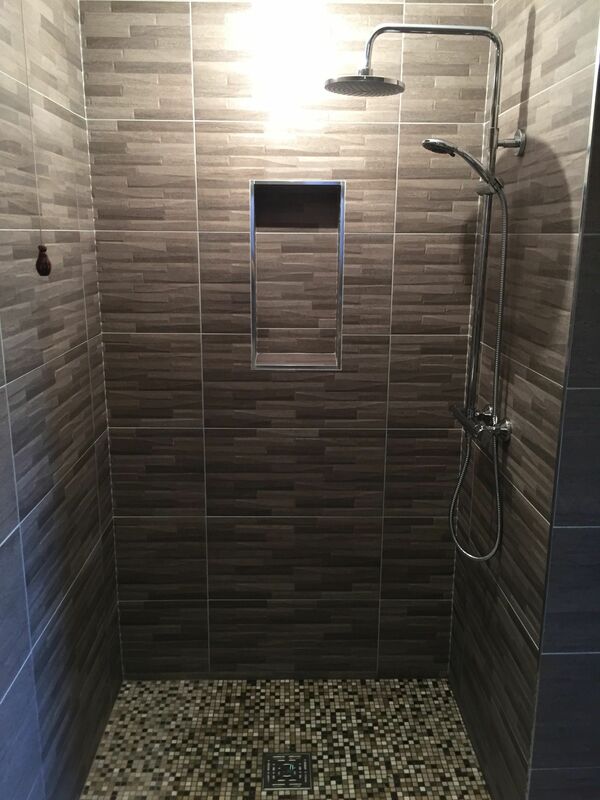 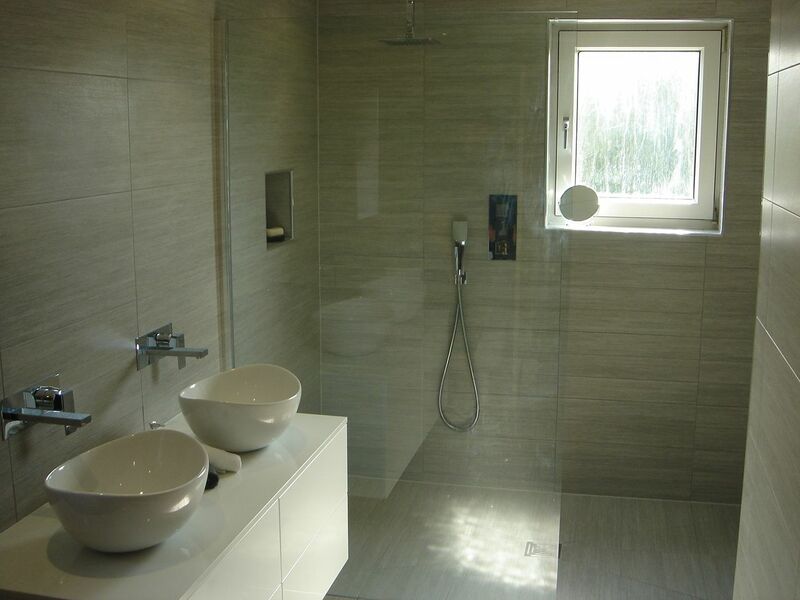 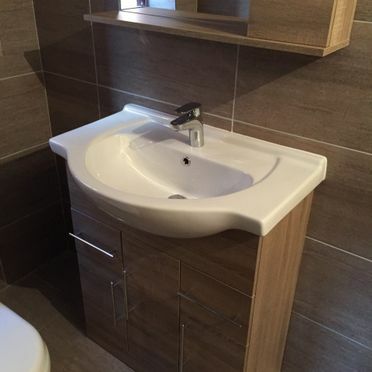 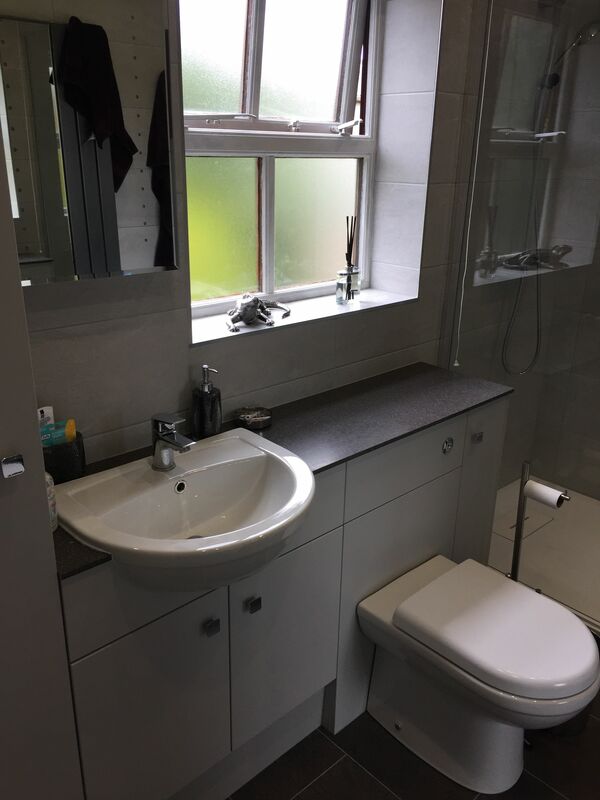 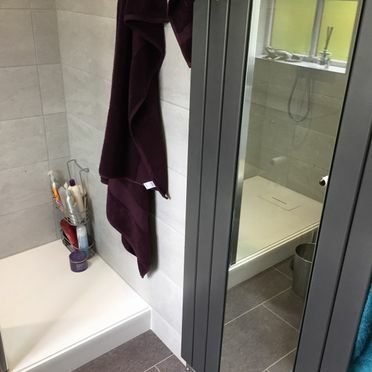 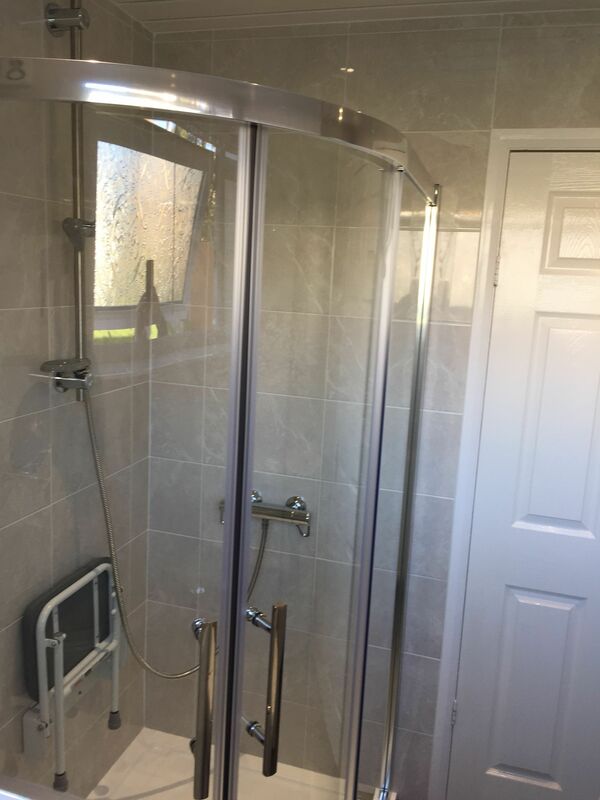 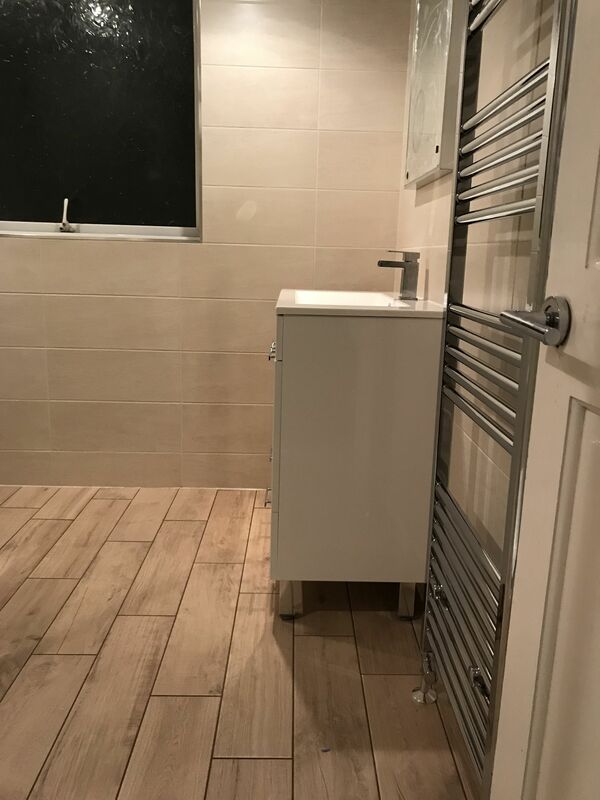 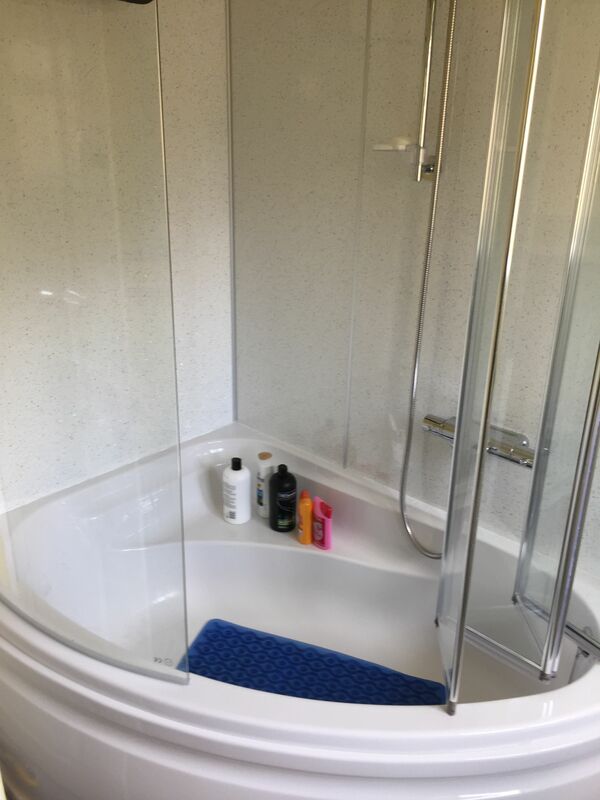 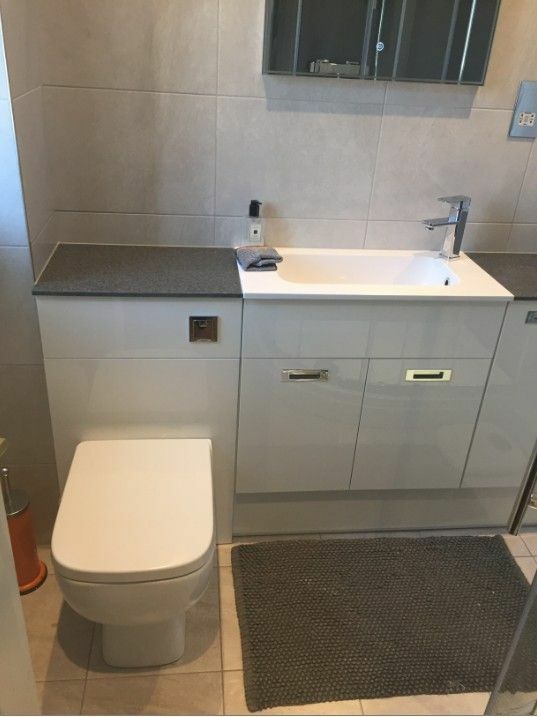 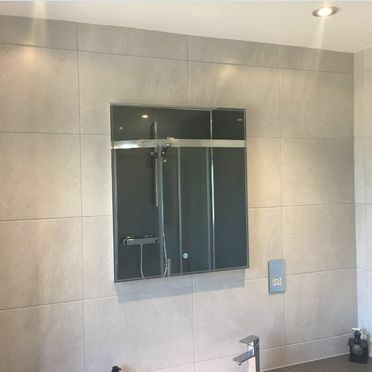 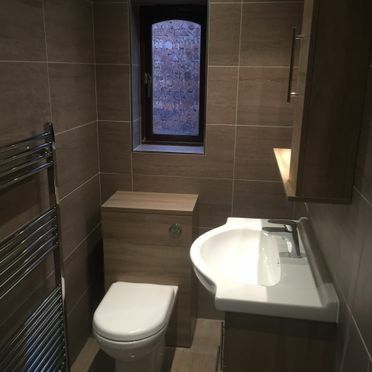 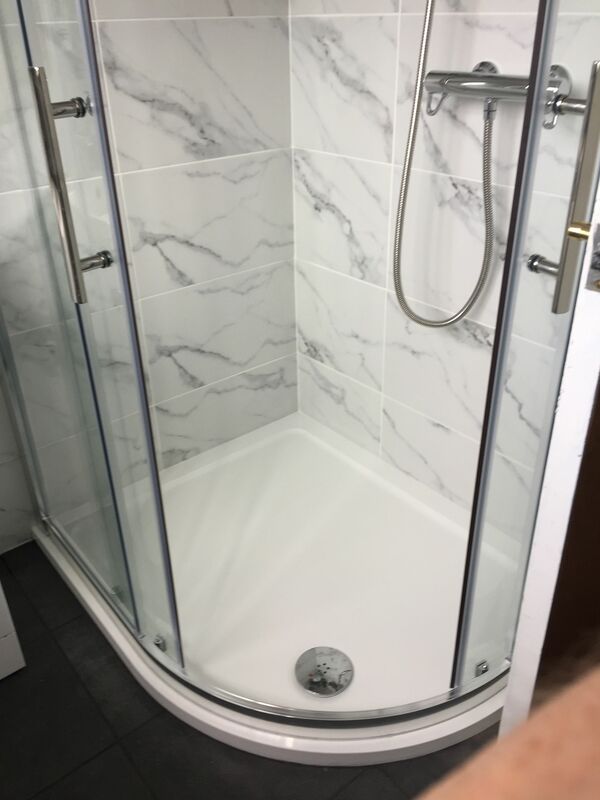 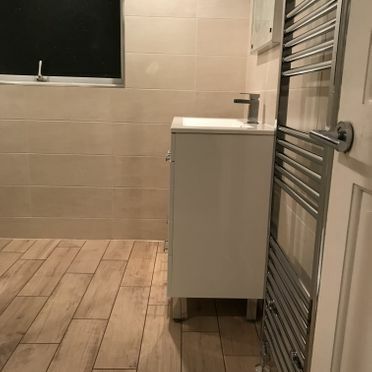 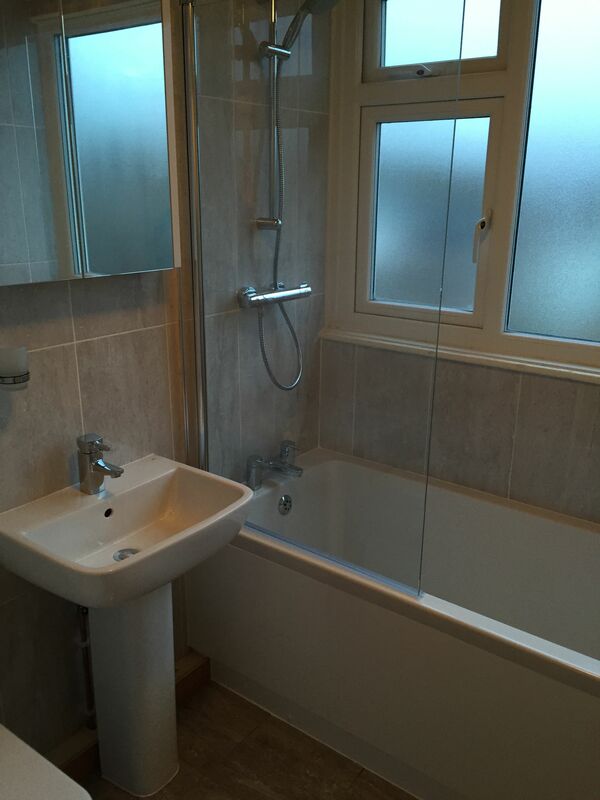 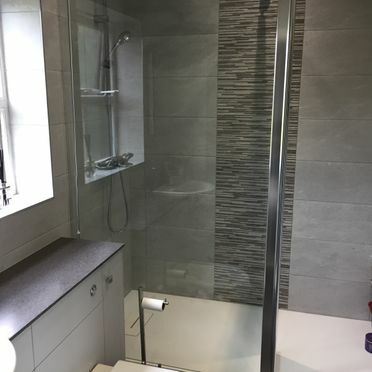 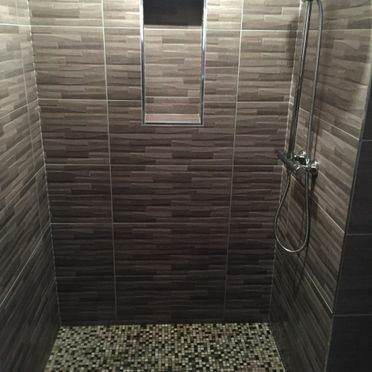 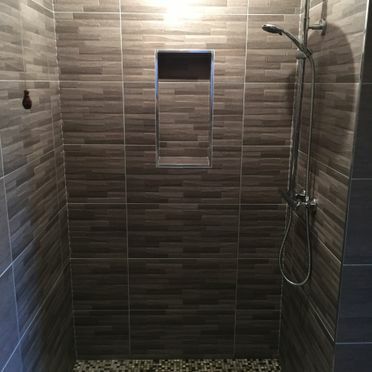 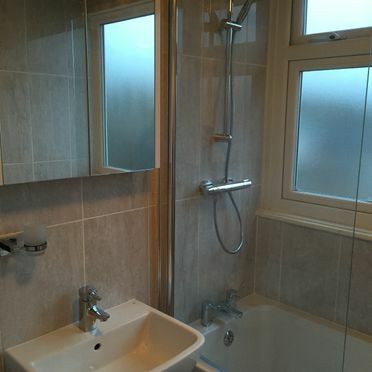 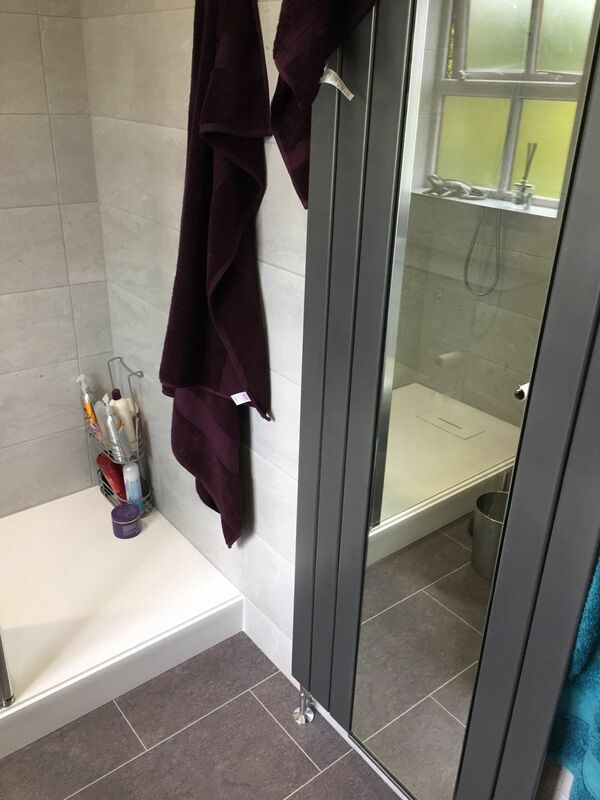 CONTACT us now, in Leeds, West Yorkshire, for further information about the previous work completed by our bathroom specialists.